Always on the look out for something to photograph, I came across this curious little place whilst on the B2102 to Brightling. 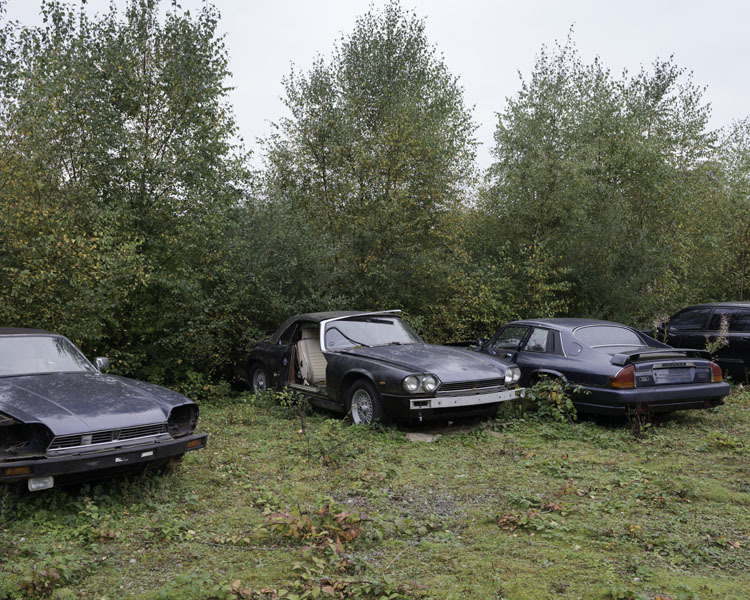 At first, it appeared to be a typical graveyard for old cars, but I soon realised that all of the cars were Jaguars, the quintessential English luxury car. There is something unusually fascinating about photographing decaying objects left outside in the elements. Perhaps it reminds me of the impermanence of things or how with time, even the most precious of objects eventually succumb to nature. Either way I had a ball wondering around a muddy field filled with lots of broken old cars, strangely feeling at home amongst them. 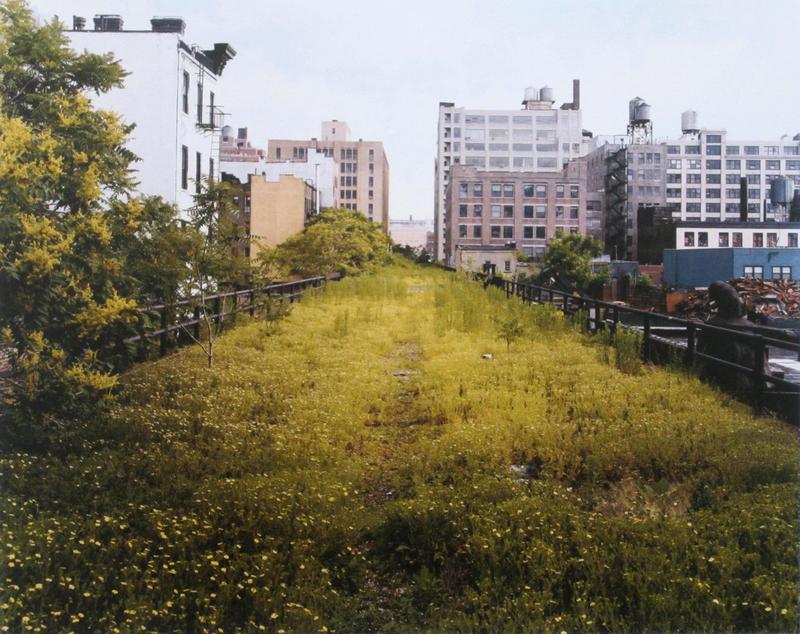 In 2000, Joel Sternfeld began photographing the High Line, an abandoned elevated railway that runs for 13 miles throughout downtown Manhattan. 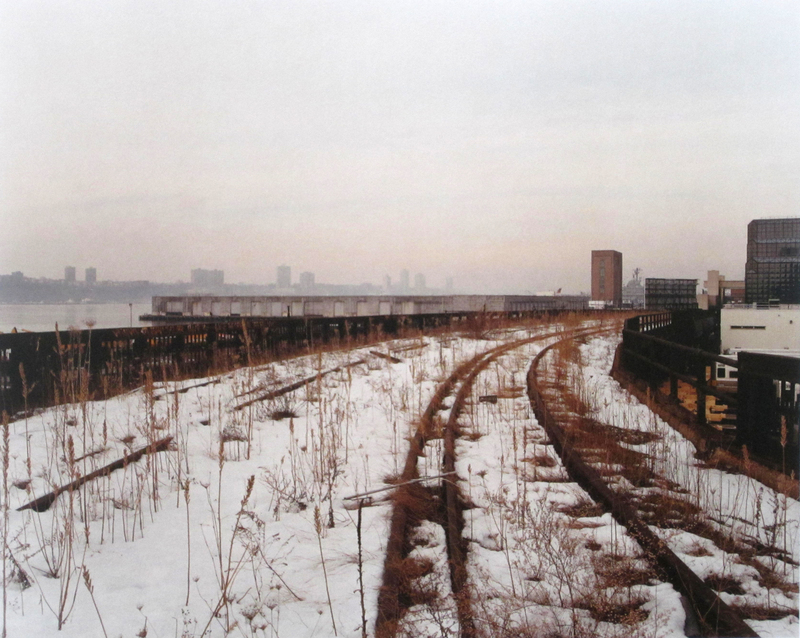 Walking the path of the train line, he photographed the location throughout all of the seasons over the course of a year. In Sternfeld’s photographs we can witness the overgrown rail line against the spectacular backdrop of the New York skyline surrounded by billboards, warehouses and empty office spaces. 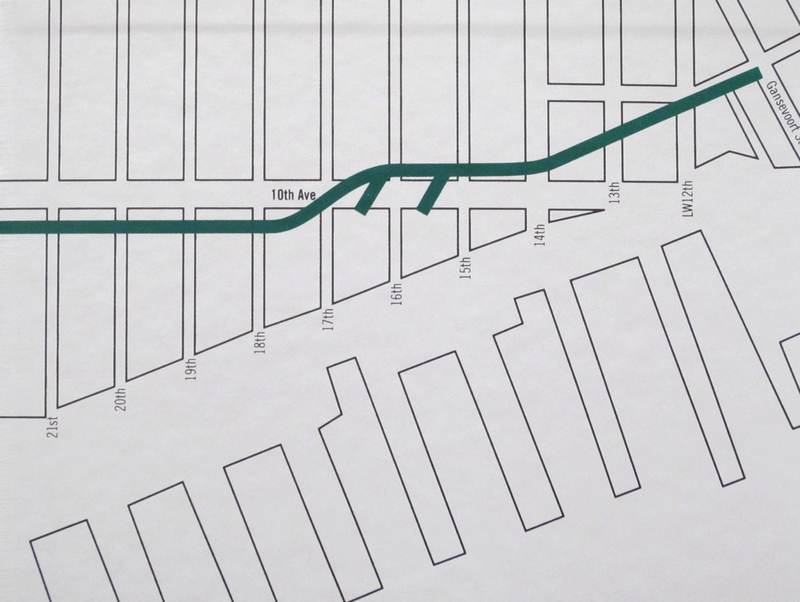 The rail line was previously an industrial space only used for freight trains, meaning there are no stations or public access. 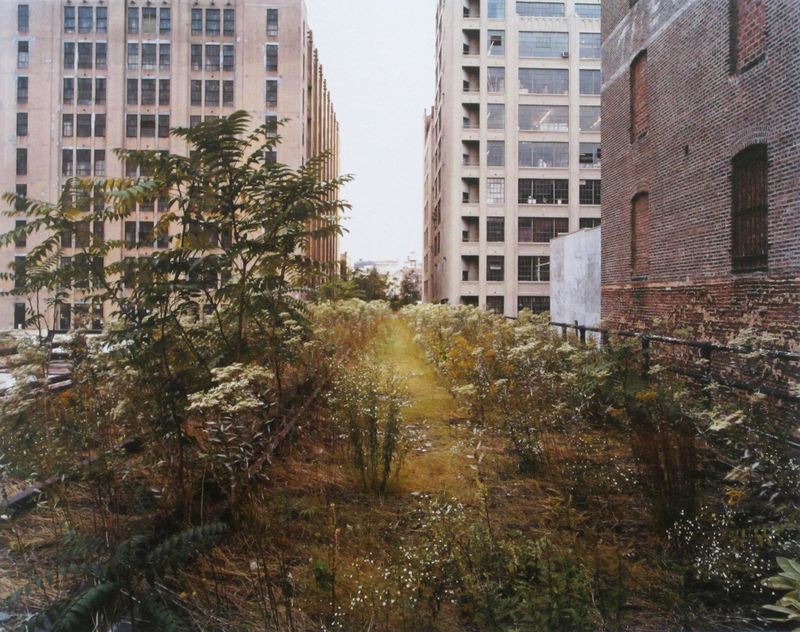 Due to this lack of public access on the line, Sternfeld’s photographic walk feels like he is exposing us to a forbidden secret garden hidden in the city. 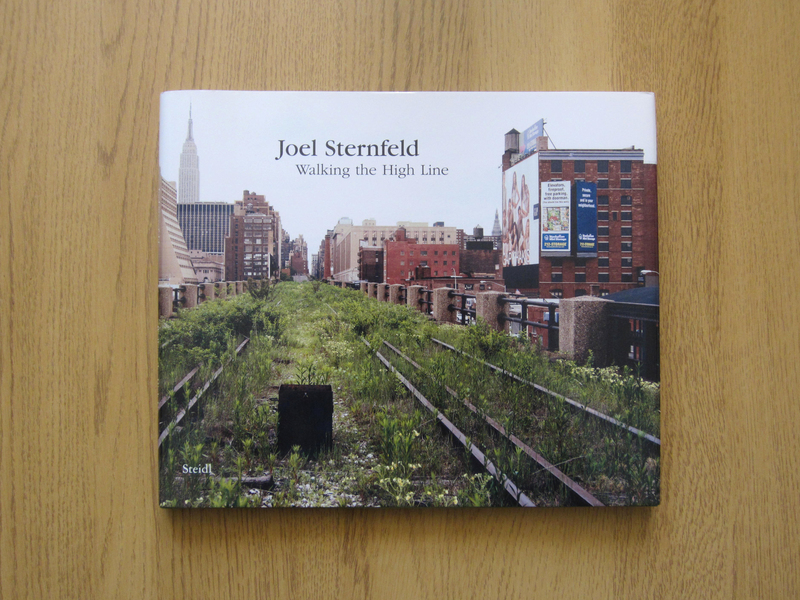 The fact that Sternfeld is walking the line is like the act of reclaiming it on foot, making a once industrial space human again, to be walked upon and not only transited by train. The photographs seem to pay homage to the beauty and persistence of nature as it overcomes the man made structure of the rail line. In 2009, the High Line was converted into a park so the photographs made before this transformation enable us to see the High Line as it will never be seen again, making the work a valuable historic record. Looking at the photographs, we may also get an impression of what Manhattan might look like if it was to be abandoned by its inhabitants. The new Steidl edition of the book from 2012 follows on from several previous ones now out of print. It is much smaller, which for me makes it more enjoyable to read than the previous larger ones. Presumably due to its shrinkage in size, it also makes the book much more affordable. On the opening and rear inlay is a nicely designed map of the train line which immediately creates a sense of the location before we are introduced to the photographs. The book features a tight edit of 24 photographs and two accompanying essays. It is beautifully made and the quality of the print really enables us to appreciate just how rich in detail each of the large format photographs are. Although you may think that 24 photographs isn’t much value for money in a photographic book, I find myself repeatedly going back over each of the photographs, trying to absorb all of the details within them. In this sense, less is definitely more. The new edition has a number of new features such as the particularly enjoyable “High Line Timeline” at the back of the book. It charts the history of the rail line from before its creation in 1929 up until its conversion into a public park in the present day. This offers a much broader sense of place reminding the reader of the locations original industrial purpose in contrast to the leisure facility it has become today. One of the most effective aspects of the book for me is the way it makes me want to visit the site and walk the High Line for myself. The photographs really create the sense of a journey into a forgotten and feral landscape. Looking down the rail tracks makes me want to embark on my own classic American rail adventure, walking along the tracks into the unknown. Whilst I won’t be doing that for the foreseeable future, at least I have my copy of Walking the High line to help me imagine what that adventure would be like.